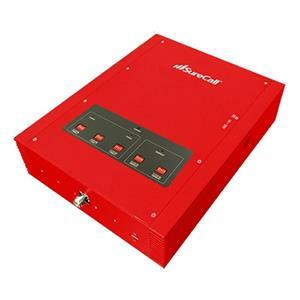 SureCall Guardian3 QR signal booster for Public Safety Band booster ensures critical FirstNet connectivity and meets code for Chapter 24 Emergency Communications Systems of NFPA-72. Guardian3 QR is available now and covers up to 80,000 square feet, delivering consistent signal for first responders and other public safety officials relying on two-way radio communications inside large buildings with weak signal strength. SureCall Guardian3 QR (Quick Response Unit) signal booster is equipped with a tri-band booster that has a maximum gain of 80 dB on the FirstNet ready Public Safety frequency bands, supporting 100+ simultaneous users per band on 700 MHz (FirstNet Ready), 800 MHz, and 900 MHz SMR (Specialized Mobile Radio Service). 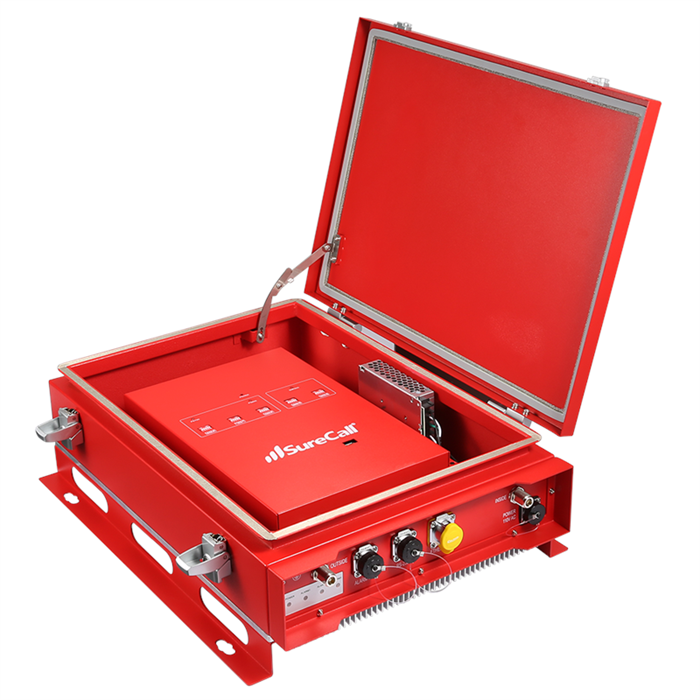 SureCall Guardian3 QR signal booster includes a NEMA-4 rated amplifier housing and comes equipped with 7-pin alarming capability, UPS and Ethernet port with built-in Sentry remote monitoring and control system. Sierra Wireless Airlink MP70 LTE-A Pro (Cat 12) with LTE Band 14 is FirstNet ready router for AT&T network. Industry’s 1st FirstNet Ready Certified In-Vehicle Routers for Public Safety.